BT Sport - Timeline Television Ltd.
Timeline Television Completed the Design and Build of BT Sport’s Home and was appointed as Managed Service Provider for the Facility. 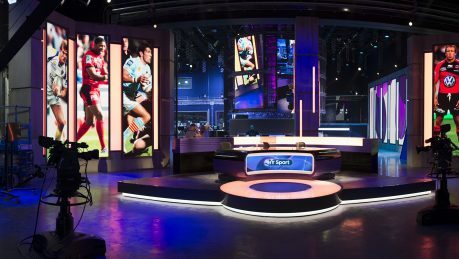 We were delighted to have been selected by BT Sport to lead on the transformation of part of the former International Broadcast Centre at the Queen Elizabeth Olympic Park, into the new home of BT’s sports channels, BT Sport 1, BT Sport 2 and ESPN. 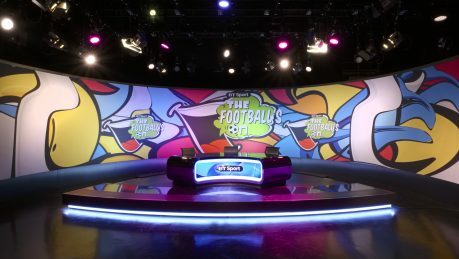 Working as a lead partner for BT Sport, managing the end-to-end design and build of the BT Sport production hub, including building infrastructure and broadcast systems integration, with services that went live in time for BT Sport’s launch in August 2013. 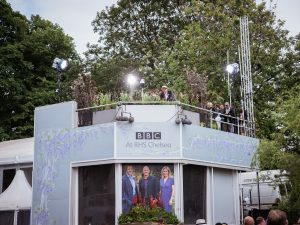 Timeline Television project managed the IBC build to house three large fully flexible TV studios, sports production galleries, a master control room, 22 edit suites, dubbing theatre and an audience holding area. 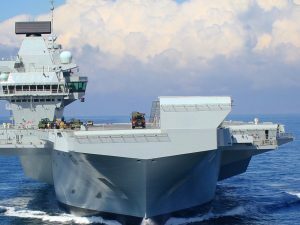 Having only gained access to the building on the 4th February 2013, the design, build and commissioning took just six months and is one of the largest and quickest broadcast installations in the industry. Timeline Television was also awarded a five year managed service contract for technical operations including studios, MCR, post production and end-to-end workflow support. Timeline’s team of engineers, technical operators and administrators keep the state of the art facility running 24 hours a day. 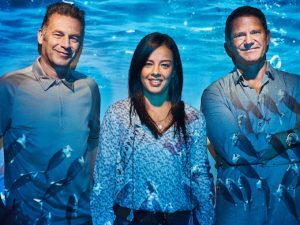 Timeline also supplement their core staff with a comprehensive team of freelance editors, camera crew, lighting and vision crew, sound crew, studio floor crew and EVS operators to provide the full gamut of craft skills to BT’s production teams and production partners where required. The three studios, provide agile space that can be operated collaboratively or independently as required for different production needs. 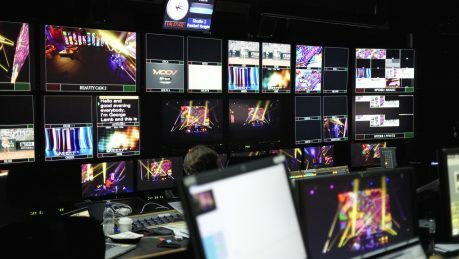 A complex routing and control infrastructure allows the 24 Sony 2400 HD cameras channels and 32 radio microphones that have been installed, to work with any of the seven production galleries. Studio’s 1 and 2 combined is one of the largest LED lit studios in the world. An end-to-end tapeless workflow, built on tightly integrated EVS, Harmonic and Avid technology has been implemented. 32 ports of ingest allow immediate access to incoming feeds in any of the 22 edit suites or on any of the 200 producer desktops. IP Director logging stations allow live feeds and rushes to be tagged with appropriate keywords and metadata. Production staff can browse the archive and live feeds, make playlists and send the content to a variety of destinations including the high end edit suites for finishing, TX for play-out, distribution partners or archive. In addition to the craft edit suites, there are eight voiceover booths, a dubbing theatre and a QC suite. The archived media is backed up at a standalone BT disaster recovery site.